When Ferdinand Marcos placed the Philippines under martial law, he exercised his constitutional right as president to call out the military, suspend the writ of habeas corpus, and place all or part of the Philippines under martial law in time of invasion, insurrection, or other national emergency. There was, in fact, a threat of insurrection. The New People's Army (NPA) and the Muslims were engaged in intermittent warfare with the Armed Forces of the Philippines (AFP) and were both seen as a threat. So too were labor organizations and student, youth, and other mass organizations. All were seen as heavily infiltrated and controlled by Communist elements. Nor were the military, government officials, or the judiciary free from attack. Corruption was to be weeded out in all areas, and the judiciary, "unable to administer justice," lost its traditional autonomy as military courts were set up. To prevent the media from becoming "tools of the oligarchs," several publishers and journalists were immediately arrested; newspapers, magazines, and journals were forced to halt publication; and radio and television stations run by Marcos's political opponents were permanently closed. Throughout all, however, Marcos insisted that the declaration of martial law did not represent a military takeover of civil government functions. "The government of the Republic of the Philippines ... continues," he repeatedly assured the people. Later, to an interviewer from the Far Eastern Economic Review, he said: "From the very beginning it was understood that the military would do the bidding of the civil authority." It is questionable, though, that such a distinction between civil and military authority can be made under martial law. Through it Marcos institutionalized the military as the dominant force in Philippine society. They were not only to enforce his decrees, orders, and regulations, but were the model for his conception of the "New Society." He saw the military as playing a "revolutionary role" in the creation of the "New Society" and as the "sentinel of [their] political sovereignty." Adrian Cristobal, a spokesman for the Marcos regime, described the importance of the military in this way: "Since we [in the Marcos administration] have adopted discipline as a necessary element of national progress, and since discipline has long been associated in our minds with the military way of life, it is but natural that the military now looms so vividly in our thinking." Thus discipline, restraint, centralization of power, and other aspects of traditional military ideology were to be the cornerstones of the New Society. 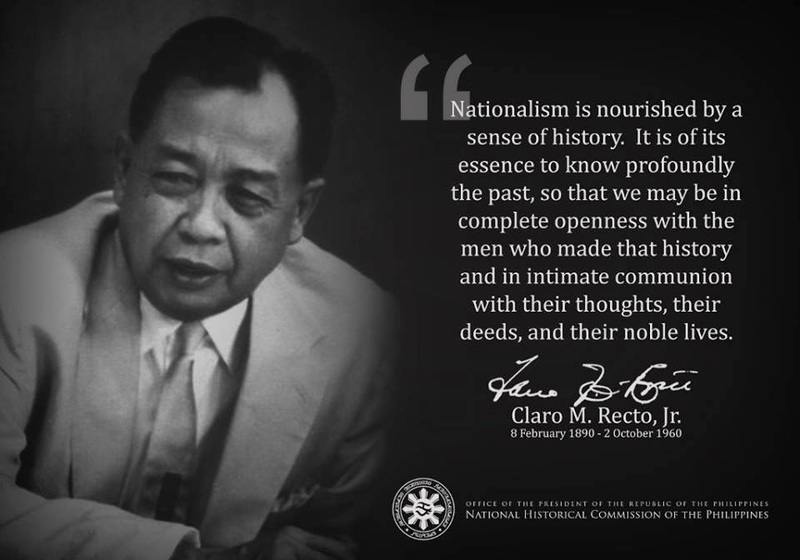 With the declaration of martial law, the threat to national security, both real and exaggerated, was defined in its broadest terms, creating an atmosphere of xenophobia that primed the country for the rash of presidential directives, decrees, and proclamations; the aggrandizement of the military; and the increased military control over civilian life that was to follow. The constitutional change that Marcos pushed through as a referendum in 1973 gave the president unprecedented powers over the entire governmental structure and is a prime example of the militarization of socio-political life that took place under martial law. It permitted Marcos to remain in power indefinitely as both president and prime minister and enabled him to replace arbitrarily any or all government officials, including members of the judiciary, simply by naming their successors.This gave Marcos full power over all government offices by ensuring that he could control or replace all who held government posts. The Constitution also provided for the continuation of "all proclamations, orders, decrees, instructions, and acts promulgated, issued or done by the incumbent president" as part of the "law of the land" unless nullified by Marcos himself or by the regular National Assembly. In other words, all proclamations, decrees, and so on issued by Marcos under martial law would remain in effect after martial law was lifted unless repealed by Marcos or the National Assembly. Since Marcos had the power to disband the interim National Assembly, there was no chance for civilian check on his and the military's power during martial law. Also, since only Marcos could lift martial law, and the military who monitored the need for it, there was slim chance of civilian powers being restored until the president and the military were assured of continuing control over the society. The Sixth Amendment to the 1973 Constitution, passed by referendum in 1976, further consolidated Marcos's power over the governmental structure by allowing him to declare an "unidentified emergency" and to legislate by decree even after the lifting of martial law. Among the "emergencies" that would warrant legislation by decree is "when the interim or regular legislature 'fails or is unable to act adequately on any matter for any reason that in the President's judgement requires immediate action.'" Constitutional change in the Philippines led to the militarization of traditionally autonomous government structures through the centralization and hierarchization of control under one person. There was no allowance for civilian opposition to Marcos's or the military's actions and policies since they could lead either to charges of subversion or prompt removal from office through the naming of a successor. By allowing the continuation of Marcos's decrees and orders beyond the lifting of martial law, the 1973 Constitution ensured that any moves to reorder the government along more democratic and less repressive lines would involve a long and arduous legal process in the National Assembly. The "institutionalization of the revolution," as Marcos wrote of the Constitution in 1973, represents, in fact, the institutionalization of militarization in the country. The declaration of martial law and the rash of anti-terrorist orders that accompanied it gave the military a degree of control over civilian life and behavior unprecedented in Philippine history. Although technically the military did not rule the country, increases in the military's power and prestige, size, and wealth were nonetheless evident. Martial law gave the military virtually unlimited powers for the search, arrest, and detention of civilians. Through the suspension of the writ of habeas corpus, the responsibility for proving an individual's guilt, or even to provide legal counsel, was removed. In addition, military tribunals were set up throughout the country to handle cases concerning "national security" and the civilian judiciary lost most of its power and autonomy. Amnesty International stated in 1976 that "the rule of law under martial law is authoritarian presidential-military rule, unchecked by constitutional guarantee or limitations." The expanded influence of the military in business and political roles has also increased its influence over the society as a whole. The secretary of national defense and other top military officers have worked directly with the president since 1972. Marcos appointed officers to manage several corporations and the military was ordered to control all public utilities, the media, and transportation services. Presidential representatives on development, many of which are military officers, were established to supervise regional development projects, reducing the authority of local officials. This trend of growing military influence in national policy making combined with an increase in military officers moving into high-level positions in business is connected to the spread of military ideology into the civilian sector. The U.S. International Military Education and Training Program, for instance, is designed to promote military leadership and forms of organization in national development processes. One result, implied in Adrian Cristobal's statement about the importance of the military, is that military values and goals such as law and order, discipline, and centralization of power become the driving force behind both government and business policies and structures. The aggrandizement of the military also expanded the influence of the military over the society. It is important to point out here that the dramatic increases that occurred during martial law had a substantial effect on the regime's ability to carry out the repressive sanctions on the population discussed below. The militarization of internal security forces also played a large role in augmenting the repressive power of the Marcos regime. Although the fundamental aspects of Philippine internal security forces were present before martial law was declared, the Philippine Constabulary (PC) and the Local Self-Defense Force were not fully mobilized under direct AFP control until 1973. The Integrated National Police, under direct PC control, was not established until 1975. The results of these developments have been described by Walden Bello: "Both the army and the constabulary are now the prime police agencies in the country, with local police activity having virtually disappeared in insurgency zones and playing a secondary role elsewhere. Political intelligence and security functions have been centralized to a degree unparalleled in Philippine history, with the military-dominated National Intelligence and Security Agency (NISA) forming the apex of a structure of interlocking army and constabulary agencies. "Thus the military values of centralization and hierarchization can be seen as thoroughly pervading the internal security forces, eliminating local control over police activities. The effects that these forms of militarization have on creating the stimuli for repressive practices has been explained by the Study Group on Militarization of the International Peace Research Association. Pointing out that although militarization leads to more respect for law and order among the population in general, due in part to fear of severe sanctions, it leads to less respect for law and order among the political and economic elite. They concluded that "this contradictory situation is probably due to the fact that the reciprocal interaction between various groups of a society in a democratic system tends to be eliminated in a militarized system, making it more possible for the authorities to control the people and less possible for the people to control the authorities." Figures from Amnesty International (AI) and the International Commission of Jurists (ICJ) indicate the impact this has had on repression: more than 60,000 people were arrested between 1972 and 1977, many of them for political reasons. In 1977 AI estimated that at least 2,000 of these political prisoners were still being detained without trial. Another effect of the lack of civilian control over the military was the frequent cases of torture performed on political prisoners by the military. Although AI, the ICJ, and Task Force Detainees Philippines (TFDP) all compiled documented lists of military personnel who actively participated in the torture of prisoners, none has been convicted. Some have been acquitted by military courts; the trials of others have been postponed indefinitely. Although TFDP reported that cases of torture decreased slightly from 1978 through early 1980 compared with previous years, they noted that this trend was accompanied by a marked increase in the number of "salvagings" and "disappearances." As many as 303 cases of substantiated "salvagings" and 233 "disappearances" have been recorded by TFDP from 1975 to early 1980.Other military abuses include declaring barrios a "no man's land," where anyone seen may be shot on sight; extortion; burning of houses and produce; strafing; abuse of women; and the forced relocation of whole villages into "strategic hamlets." These internationally condemned repressive practices were nurtured by the atmosphere of urgency within the national security state and the free reign given the military to restore "peace and order." These conditions, however, have increased the range of opposition to the government and have virtually forced the people into acceptance of violent revolution, since all other means of protest (demonstrations, use of the media, boycotts, strikes, and so on) have been outlawed by presidential decrees and orders. This has been one of the important factors in the formation of a united National Democratic Front that coordinates the efforts of diverse groups such as the NPA and the Catholic clergy. The constitutional change, which eliminated all chances for electoral opposition to the Marcos regime, also contributed to this by radicalizing segments of the urban and opposition political elite.